Harford Heights Elementary School #36 - Min Engineering, Inc.
Min Engineering, Inc. provided mechanical and electrical engineering design and construction administration services for Harford Heights Elementary School #36 in Baltimore, Maryland. The project included replacement of one existing central steam boiler and its associated feed water unit with new, and provision of one new heating hot water boiler of 250 HP. Design included replacement of three existing steam heating air handlers with new hydronic heating air handlers converting existing steam heating to hot water heating. 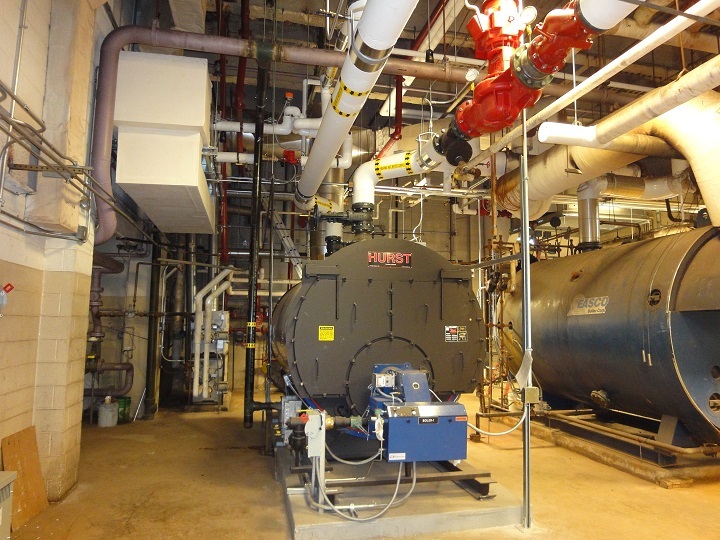 Electrical design included lighting system for the boiler room and provided power to the new HVAC equipment.